Colburn Law is currently investigating the devastating train derailment that occurred south of Tacoma in the early hours of December 18, 2017. As a result, 3 were killed and 72 were injured – with 10 in serious condition. Although officials are still determining the cause for the derailment, present details seem to indicate that Amtrak bear some responsibility for damages incurred from the incident. If you or a loved one has been affected by this tragic accident, please contact the injury attorneys in Seattle at Colburn Law for a free consultation. Colburn Law has successfully settled hundreds of Seattle personal injury cases. Our primary goal is to ensure you get the best outcome possible – the maximum recovery necessary for you to remain free of any financial burdens associated with the train derailment. We believe that parties such as Amtrak and the train operators may have acted negligently to contribute to this devastating derailment, and can fight for you to gain compensation beyond an initial insurance settlement claim. In the early morning hours of December 18th, 2017, an Amtrak train containing 80 passengers, three crew, and two service personnel derailed on a trip from Seattle to Portland. As the train derailed, it careened off the tracks and fell from an overpass directly onto the Interstate 5 Freeway, injuring most passengers on board, crushing multiple vehicles, and reducing traffic to a halt. A thorough investigation is currently underway by the National Transportation Safety Board (NTSB), and as it stands, it may be too early to determine a cause. However, according to new information revealed about the derailment, we believe that Amtrak and the operators of the train may be held at least partially liable for this devastating incident. Although Amtrak regularly makes the journey from Seattle to Portland, this was actually the first-ever trip along a newly established Amtrak route – part of an $800 million project intended to offer more reliable, speedier service between the two cities. Additionally, we have learned that the train was traveling 80mph in a 30mph stretch of track. Previous to the slow zone, speed limits were posted at 79mph, indicating a failure to slow down along the route. This seems to indicate that the operators did not notice the sudden decrease in speed – perhaps compounded by the relative unfamiliarity of the new route. Officials claim that the derailment could have been averted if the train had Positive Train Control (PTC), a safety measure that automatically slows down or stops a train from potentially crashing or derailing. Although Congress passed a law in 2008 mandating that all trains adopt PTC by the end of 2015, hurdles in technology, budget, and design have delayed that goal to the end of 2018 – and maybe further. We believe that all of these points may provide a strong case for a personal injury claim. If you or a loved one were a victim of the tragic derailment, contact Colburn Law for a free consultation on your legal options. If you or a loved one is a victim of the Tacoma Amtrak train derailment, contact the personal injury attorneys at Colburn Law to discuss your legal options. We understand how devastating such a tragic accident can be – physically, emotionally, and financially – and we are committed to assisting you with your personal injury claim against Amtrak, the train operators, and any other involved parties. Expenses can add up quickly, and your initial insurance claim may only be a drop in the bucket for your building financial troubles. 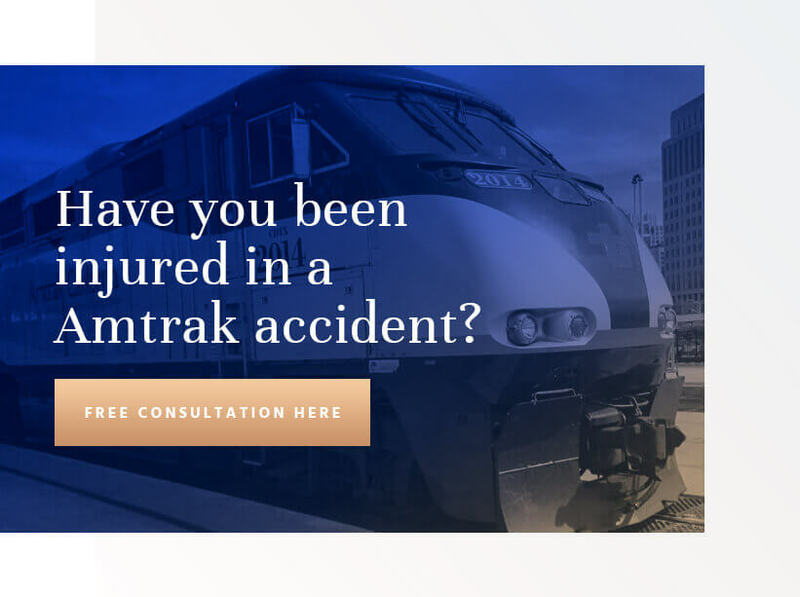 By filing a personal injury claim, you may be able to receive further compensation from Amtrak, the train operators, and any other parties that are responsible for the accident. We understand what it takes to get maximum compensation, and can walk you through the steps necessary to file a personal injury claim against those liable for the Amtrak train derailment accident. Contact Colburn Law immediately for a free initial consultation. The Amtrak train derailment is a serious accident with serious consequences, and we believe that if you were a victim, you deserve the maximum recovery possible.